Perhaps the president of Disney-ABC TV said it best when he kicked off his 2017 opening upfront monolog this year with “ABC was the first network to stage the very first Upfront presentation in 1962. So, on behalf of ABC we’d like to say we’re sorry.” Let’s not forget that initially, Upfronts were introduced to better serve the preseason media planning needs of the American automakers. In fact, ABC only shifted their entire programming lineup to premier early enough to suit the automakers planning cycle. The advertising industry quickly accepted the shift and just like that, the Upfront was born. Now, let’s fast forward 55 years to 2017. Today, the main reason advertisers choose to take advantage of TV Upfronts has little to do with the American automakers. Instead, it’s designed to mitigate CPM increases year-over-year (aka “’protecting a base”). When agencies and advertisers do not commit large amounts of ad dollars during the Upfront period, they are subject to scatter inventory (aka “resetting the base”). With the volume of sophisticated TV targeting coupled with the vast amounts of TV and video inventory available across so many different platforms, stations and channels, the urgency to place large amounts of ad dollars in program specific inventory seems excessive. Moreover, the level of TV audience targeting available makes it possible to effectively and efficiently buy around prime, thereby increasing frequency amongst today’s highly distracted, multi-screen consumer. Considering the mass amounts of fragmented viewership, Upfronts should be utilized more as a sneak preview into new programming that may (or may not) make sense for their brand. Instead, these lavish 2-hour presentations continue to inflict the urgency for buyers to commit insane amounts of their annual budgets in broadcast TV before they even have a chance to evaluate prior year performance and real-time viewing metrics. U.S. TV viewing audiences continue to prove more disjointed than ever. In fact, per Accenture’s May 2017 report in ScreenMedia Daily, 37% of consumers view content across a combination of smartphones, laptops, desktops and tablets. Additionally, nearly all age brackets reported double-digit declines in TV broadcast viewing, with younger audiences abandoning the TV screen at the rate of 33% for television shows and 26% for sporting events. I suppose this explains why CPM’s are projected to rise by 8% for the largest sector of TV viewing audiences which is adults 55+. Because TV viewership continues to bounce sporadically across hundreds of cable channels and thousands of programs, relying on projected Upfront impression delivery from one single outlet can be a huge risk for many brands. Consequently, the cross-device fragmentation associated with clutter surrounding today’s TV consumption requires brands to be active across multiple channels. Bring streaming devices into the mix and your potential customer becomes a moving target. With today’s ever-evolving audience targeting technology and sophisticated media landscape, it is imperative for advertisers to be able follow viewers in real-time, regardless of where or how they consume media. In fact, the only guaranteed way to mitigate risk is to avoid placing 100% of ad dollars and impressions in a potentially non-cancellable basket for an extended amount of time. Upfront buying does not lend itself well towards real-time optimizations. It prohibits advertisers from doing any type of optimizations for months to years on end. So why the fuss over sophisticated, real-time performance metrics? If an advertiser allocates the bulk of their ad dollars in Upfront deals, they are often committed to specific networks and tactics for an extended amount of time. Thus, performance metrics become worthless by the time optimizations can be applied to live campaigns. In fact, due to the rapidly changing and overly cluttered landscape, Upfront optimizations applied on an annual basis are often null and void by the time they are implemented. 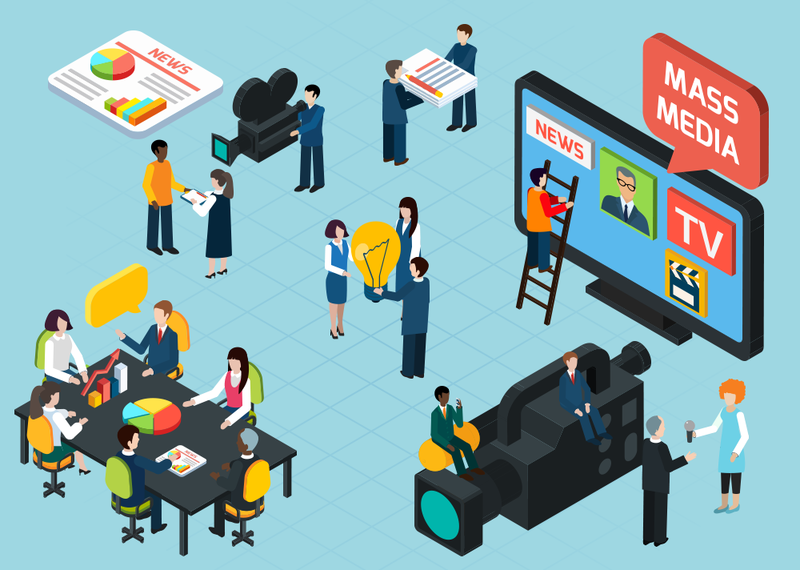 If brands are focused on efficient CPMs, it makes more sense to allocate dollars across multiple TV outlets, allowing advertisers the ability to monitor and optimize to the best performing channel and CPM throughout the life of the campaign. There are many optimization friendly vendors who can serve as a supplement and/or alternative to Upfront buying. For instance, media companies like Sinclair Broadcasting, NCC and Admore provide brands with the nimbleness to execute on-going, multi-DMA optimizations against data-driven metrics, allowing buyers to shift ad dollars in real-time based on POS, retail distribution and many other factors that can impact campaign efficiency and performance. Being able to eliminate waste by turning off DMA’s in an instance or shifting dollars for heavy ups in better-performing markets seems like a no-brainer for national/multi-market brands. On the upside for linear, it was announced that TV networks are looking to better integrate with digital properties to create multiple screen experiences with their programming. NBC and FOX announced interactive offerings like Snapchat and Shazam. Both CBS and CW will offer an all-access streaming service and ABC’s Full Episode Player will provide an excellent add-on to augment linear campaigns. Lastly, for linear, 106 canceled 2016-2017 shows were announced last week. With so many short-lived & unsolidified programs being pushed these days, projecting the real value of these placements becomes nearly impossible. Thus, it seems somewhat irresponsible to invest mass amounts of ad dollars in program inventory lacking historical rating data. Not to mention, the program may be pulled or change before the campaign runs its full course. Regrettably, we also heard a little negative digital chatter during the week. One network depicted digital as the Titanic of the media industry. For the few networks who chose to criticize the digital space, it appeared foolish to use their time (and ours) to attempt to compare TV's reach and engagement to digital's ability to drive conversions. One of the more blatant digital digs from last week’s Upfront, came from the head of ad sales at CBS, who showed an ad for a cruise line that appeared near a video of a sinking ship on Google-owned YouTube and said “At CBS, we don’t let this kind of ship happen to you.” Considering the rapid fragmentation within the linear space, it’s about time we optimize TV Upfronts.